Looking for a new and exciting job? Come hang out with us at APEX Adventure Plex! Take a look at our job listings and apply online or email your resume to hiring@theplex.ca. APEX is Canadian owned and managed by young, progressive thinking people who you will actually have something in common with. We care about what you have to say and want to help you grow. Whether you’re looking for a life-long career or part time work, APEX Adventure Plex Richmond is always looking to add great people to our team! The family at Apex takes great pride in maintaining a well rounded work environment. Park Attendants rotate between the roles of front desk, court monitoring and facility management and maintenance. This creates a dynamic environment, keeping work fun and enabling staff to improve as individuals. APEX Adventure Plex is now hiring an outgoing individual to oversee and continue developing our concession and party catering services. Enjoy a positive work environment where we create memories with our guests! 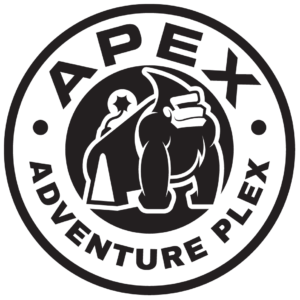 APEX Adventure Plex is now hiring a Marketing Manager to join the APEX family. The Marketing Manager is responsible for the APEX marketing plan, brand, campaigns, print materials, merchandise, venue atmospherics (facility posters, decals, signage, etc), events and activations. Deliverables are to be completed through the tactical execution of the marketing plan for all channels, including communications, media, planning, promotions, and photo/video assets. This is a fantastic opportunity for someone who is growing their experience in Marketing and is looking for a varied position with a dynamic and exciting team within a growing company. Looking for a new and exciting job? Send your resume to hiring@theplex.ca.